The stylish Corso modern rigid riser kit from Hudson Reed, give your bathroom a makeover with this quality designer rigid riser. 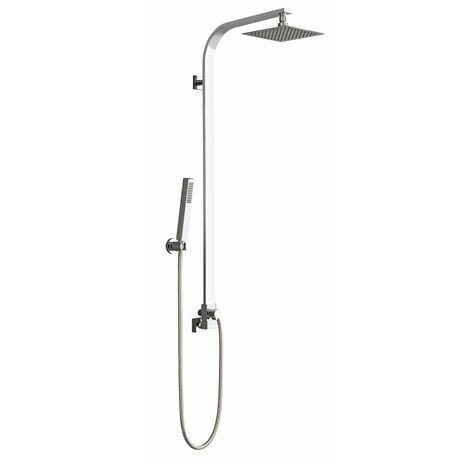 Featuring a chrome finish, a square fixed shower head, rail and rectangular handset with flexible hose. Comes with a 20 year guarantee from Hudson Reed for peace of mind.